In May 2018, Stern welcomed its inaugural class of Fashion & Luxury MBA students to campus to begin their focused one-year MBA program. During the first semester this summer, students not only took courses in both the required Business and Fashion & Luxury cores, but also engaged with executives from top fashion and luxury brands in New York City to learn how the industry is rapidly evolving, including Carolina Herrera, Christian LaCroix, Ferragamo, Jet.com, Resonance Companies, and more. The summer curriculum also included a Stern Solutions experiential learning project with The Met. Through Stern Solutions projects, MBA students work with faculty and alongside corporate partners to tackle actual business challenges in real time. Over the past three years, the number of MBAs overall participating in Stern Solutions projects has increased by more than 160 percent. Throughout the summer, students also engaged with members of the NYU Stern Fashion & Luxury Council and recent alums currently working in the industry to learn about the impactful role of business in fashion. NYU Stern Fashion & Luxury MBA students onsite at The Met for their first Stern Solutions experiential learning project. 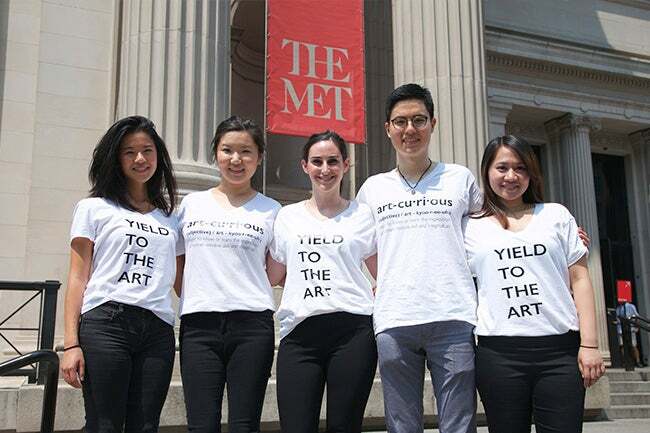 Students were charged with helping the Museum attract Millennials to their Membership program. 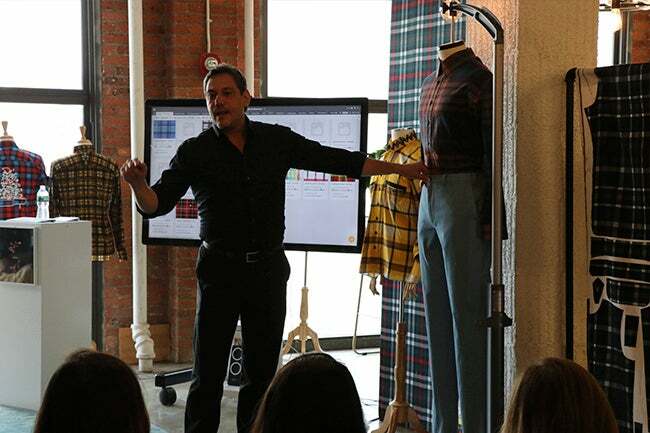 Fashion & Luxury MBA students visit Resonance Companies and engage with Joseph Ferrara, Founder and CEO, Resonance Companies and NYU Stern Fashion & Luxury Council Member, about cutting edge technology for fashion production. 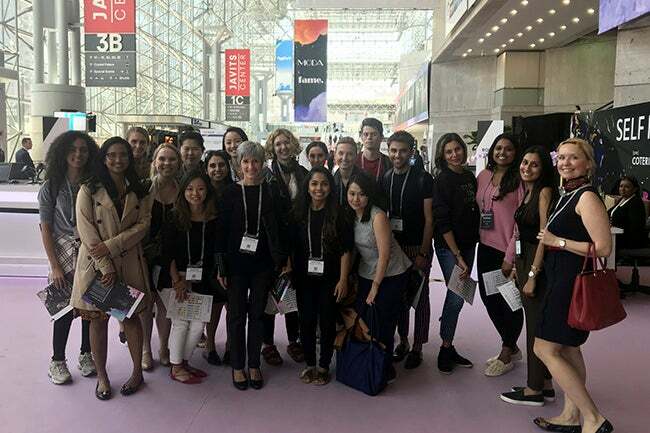 NYU Stern Fashion & Luxury MBA students visit the UBM Fashion’s “[PRE] COTERIE” trade show at the Javits Center in NYC along with Professor Kim Corfman, Vice Dean of Online Learning, and Academic Director, Fashion & Luxury MBA Program, to gain insights on retail strategies brands leverage to engage with department stores. At the invitation of David Goodman, Executive Vice President, Digital Development & Marketing, Sotheby's, and NYU Stern Fashion & Luxury Council Member, Stern Fashion & Luxury MBA students visit the New York City-based international auction house for a private tour, along with Professor Jeffrey Carr, Director, Fashion & Luxury Lab (second from right), and additional Stern Fashion & Luxury Council Members, including Douglas Hand, Attorney and Founding partner, HBA (center). 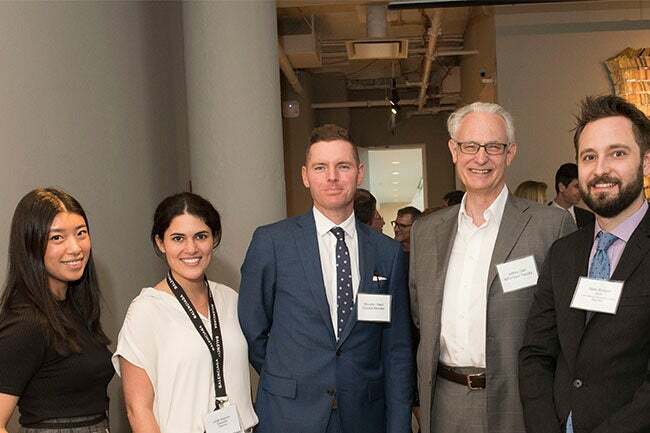 The group engaged with Sotheby's executives, including Nate Borgelt, Vice President, Senior International Specialist (right) and Leigh Zagoory, Specialist, Watches (second from left).